Okay, one week down since I started my d-word last week…. Last week’s weight: 163 lbs. Yay! My number on the scale is movin’ down, right on track. I did a lot of things to set myself up for success this past week. First of all, I knew my workout game plan for the week. Every day, I knew whether I was going to the gym or not—no hemming and hawing. I could also plan those burned calories in my daily caloric intake, which I tracked with the Livestrong MyPlate app. It was easy to eat enough to ensure I was being healthy and would have energy to run, but also cutting enough to lose weight. Secondly, on Sunday, I did some meal planning & prep for the week’s lunches and dinners. This included my Healthy & Hearty Turkey Chili, which I cooked and then ate for lunch or dinner several days. 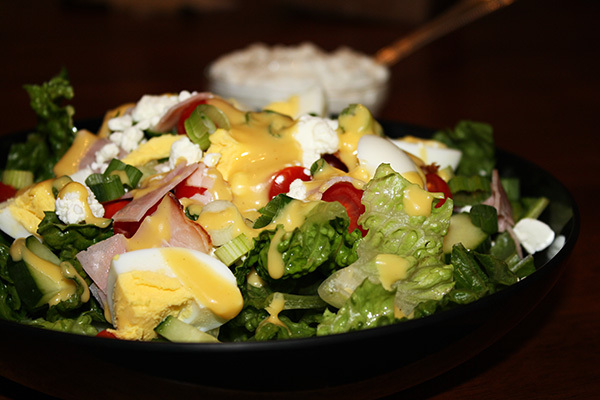 I also wanted to have a couple salads, so I bought all the fixings & chopped them up so they’d be at arm’s reach. Thirdly, I packed my breakfast and lunch most days for work. When I got hungry, I had healthy snacks to grab. Come lunch time, when I slowed down enough to realize how hungry I was, I had something healthy to heat up quick. No running out to grab something to-go that’s less-than-good for me. 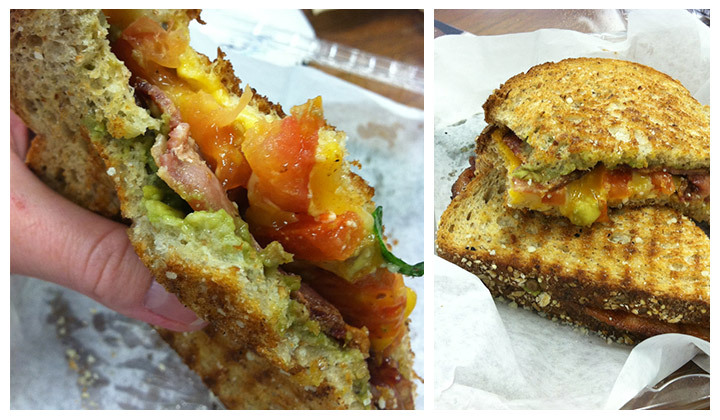 And here’s a random sampling of eats from the week! • A piece of whole-wheat toast with Justin’s maple almond butter. 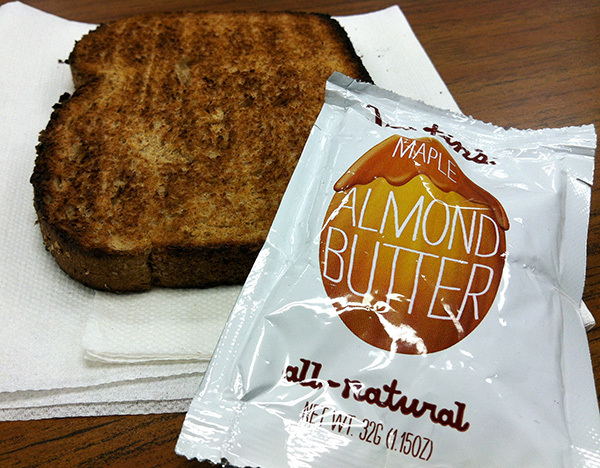 Omg, forgot how delicious the maple almond butter is! I need to get more. • Kind brand oats & honey chewy bar + a sliced apple to munch on later in the AM. 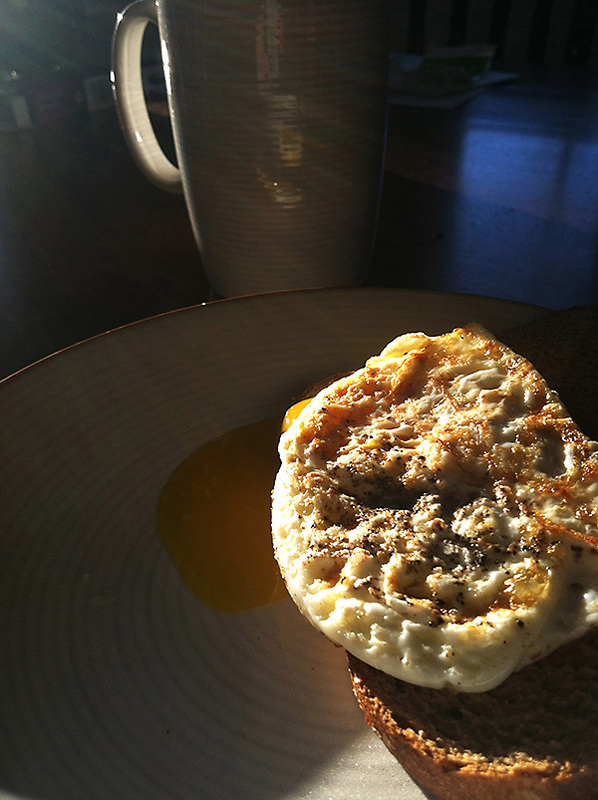 • A few extra minutes one morning: An over-medium fried egg on a piece of whole-wheat toast. 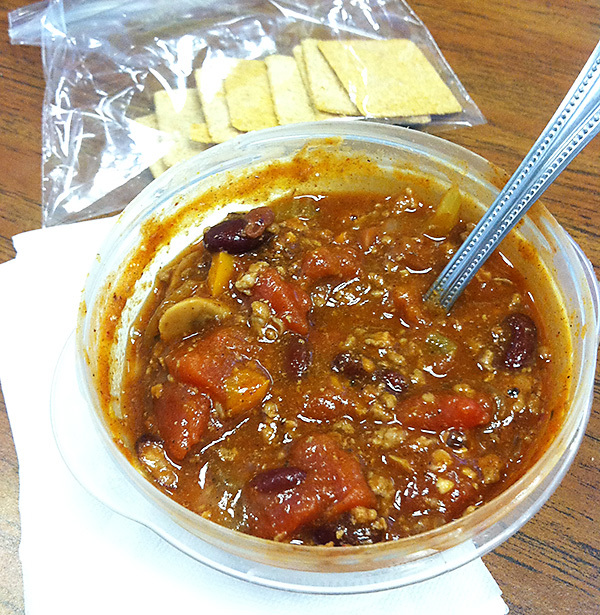 • Most days, I brought in my turkey chili + a serving of Wheat Thins crackers. 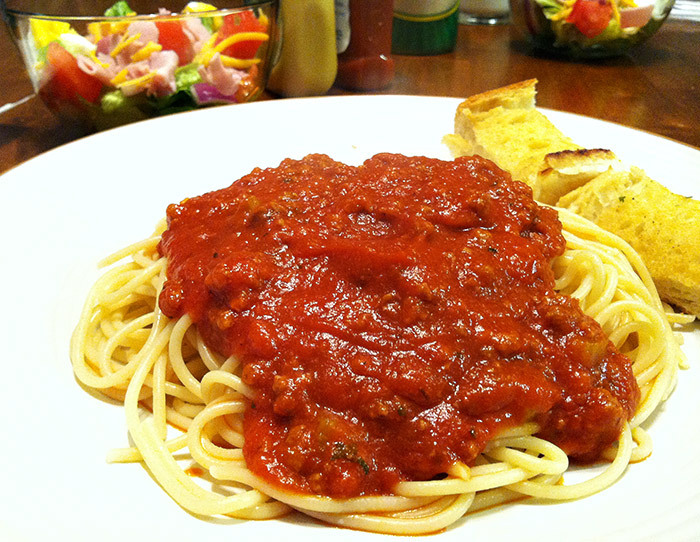 • After several chili meals, I changed it up but kept it quick & easy with a Kashi frozen meal from my freezer. • One day, I went to lunch with some co-workers to Qdoba, where I got a Naked Taco Salad (lettuce, beans, corn salsa & pico de gallo) with grilled chicken. So tasty, and actually pretty good for you (just leave off the sour cream & cheese). • Fruit—sliced apple, banana, mandarin oranges. 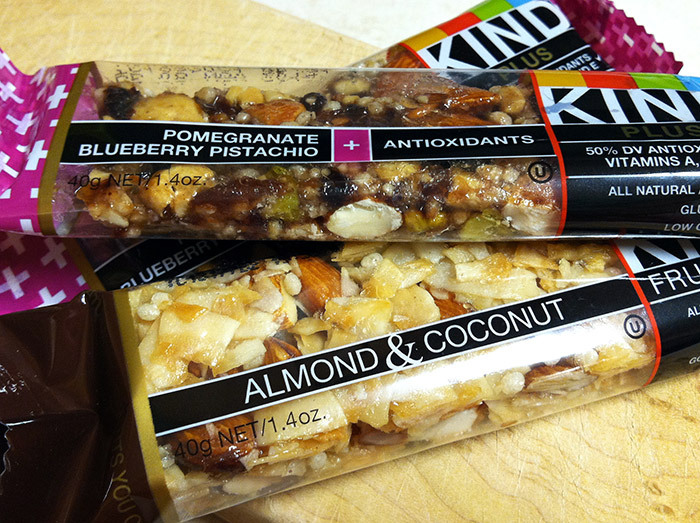 • Kind brand nut bars. I love that these are non-GMO, made of ‘real’ stuff you can see, and tasty to boot! 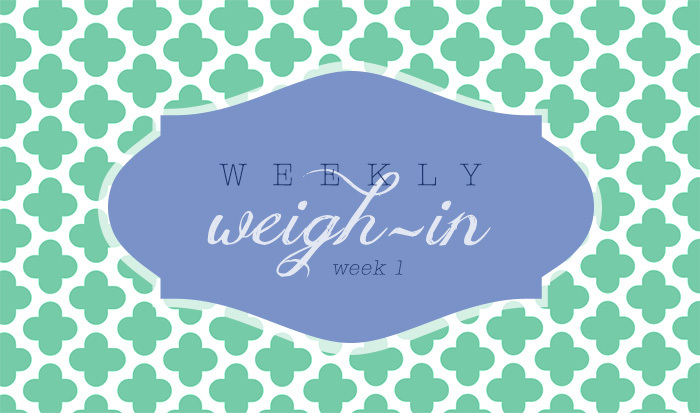 I don’t want to deprive myself of all indulgences, so I tried to balance them when I could. If I had an especially long workout (like Thursday’s 5-miler) and burned a lot of calories, I let myself have a treat as long as it still fit into my daily intake.That said, I totally splurged too much over the weekend! • Buffalo Chicken Pizza – definitely not healthy, but it was a yummy Saturday lunch after my 9-mile torture run, so I didn’t care. Balance! • Chocolate Peanut Butter cupcake, made by my friend Liz, for dessert Saturday night. Ridiculously indulgent and made my taste buds sing. Overall, week one wasn’t so bad. When you plan ahead, it makes it much easier to eat healthy and stay on track. I think my biggest challenge is the weekends. I want to have some drinks, or go out to eat, and it’s tough to do any of that while being on a diet. I know I can afford some less healthier choices sometimes, so if I can keep that to only a handful of times on the weekend (not every meal…), I think it will all balance out just fine! Monday…Funday? & I’m going to BlogHer13! Happy Monday, everyone! I have to admit, I woke up a little cranky this morning. Tired + rainy, dreary morning = crabby pants were donned. Wait—I wore a dress. So…My Crabby Cardi was donned? I found the yummiest snack ever. Yes, ever. At least for this month. Fresh strawberries & blueberries topped with a Dark Chocolate Raspberry Chobani “bite”. Amaaazing. Have you tried these little “bite” things? They’re smaller portions of Greek yogurt, so they’re only 100 calories per cup. Plus, this flavor is extra delicious with little flecks of dark chocolate in it. It doesn’t seem healthy one bit. Mmm. 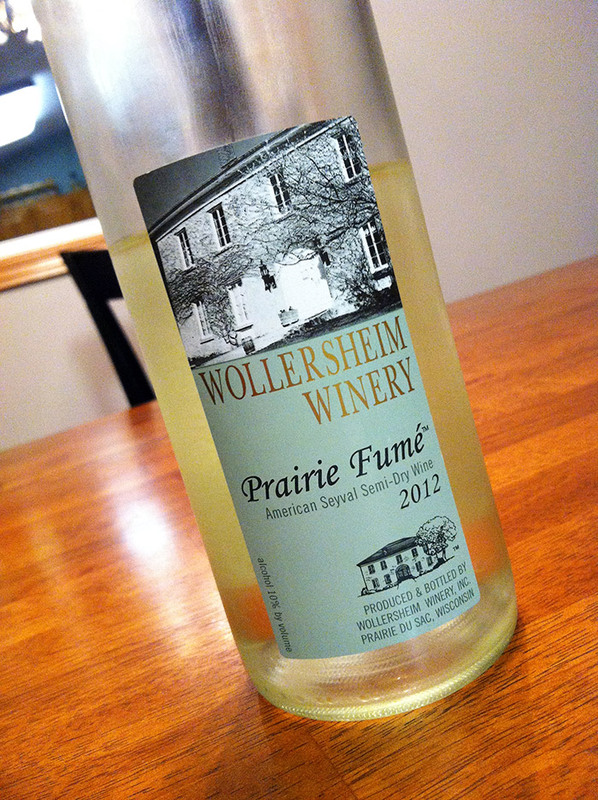 You have to try it on fruit, so good! Then, I came home to the fiancé pulling his workout clothes on. Woohoo! He doesn’t love to exercise, so any time he’s up for some bike riding, I’m in. We got about 25 minutes in when we sped home—just in time before a massive downpour! Unfortunately we’ve had some water issues in our new home. Water has been coming in through the walk-out basement door and we haven’t been able to pinpoint exactly why…until today when Matt opened the door during the storm and a tidal wave of water whooshed in. UGH. Okay so not the highlight of the day, but on the plus side, we finally solved the mystery: Our gutter is completely overflowing and pouring all the water straight down instead of to the downspout. Gutter Cleaning Men, we’ll be calling you soon…like now. 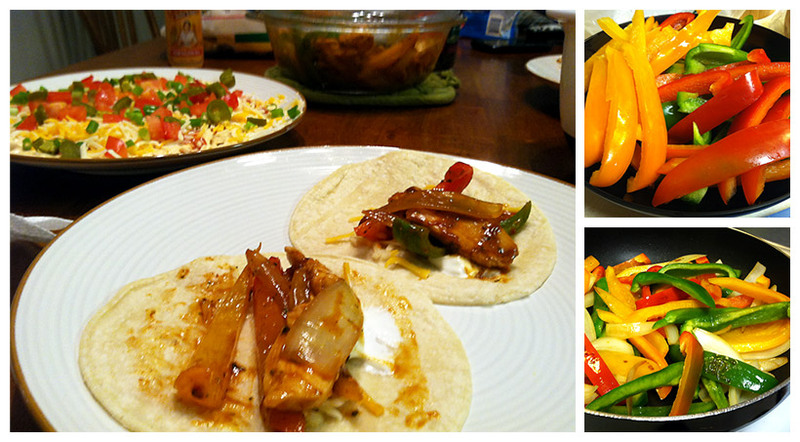 Then I made a tasty & healthy dinner of [frozen leftover] shredded buffalo chicken tacos. I made a super easy batch of crock pot buffalo chicken a couple months ago and discovered a bag of it frozen in the freezer, so dinner was whipped up in just 10 minutes! Corn tortillas, chicken, lettuce, tomatoes, green onion and just a touch of ranch dressing to cool it down a tad, that’s all ya need. TOP highlight: I signed up to attend the BlogHer conference at the end of the month! I was going back & forth about signing up, since I am new-ish at this whole blogging thing and barely even know what BlogHer is, but Matt told me I should go since I was so happy and excited to write every day. And, it’s my ultimate dream that some day I will be able to do this as extra income. Annnd, I only live a bit over an hour from Chicago, so why pass up the opportunity when it’s being held so close by? SO, thanks to Matt’s encouragement and a little push, I went for it today, and I’m pretty excited! I’m a little anxious because I don’t know what to expect and I won’t know anyone there, but I think if I keep an open mind and don’t let myself become shy, I will have a blast & learn a lot. What are your Monday highlights? 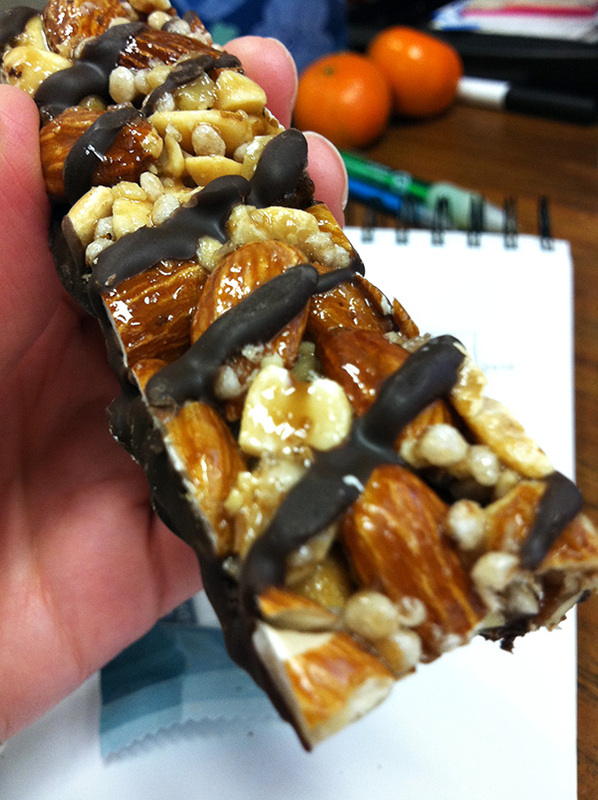 What’s your favorite snack lately? Have you attended a BlogHer conference? Any advice or words of wisdom on what to expect?